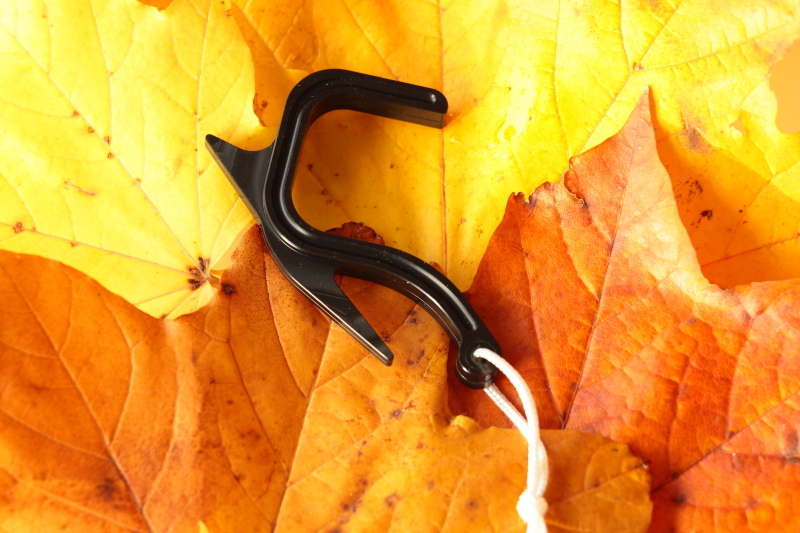 The FlyTriever is a device that assists in retrieval of fly’s caught in trees, and avoids leaving tippet in undesirable places. It is CNC machined from Dupont™ Delrin® and has a mass of only 20 grams including 4 metre long cord. To use, unfurl the cord. Holding the cord, use the rod to place the FlyTriever hook over the branch that the fly is stuck in. Withdraw the rod carefully whilst keeping the cord under tension. Use cord to pull branch down. Stow cord by winding around both prongs, securing the loose end by pulling tight along edge of longer prong.